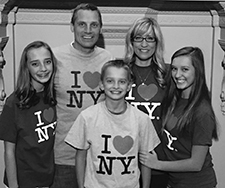 New York NY: A full week celebrating Savannah, friendship and missionary work! A full week celebrating Savannah, friendship and missionary work! We celebrated Savannah's 16th birthday this past week! She loved the "16" balloons and got lots of "happy birthday" shoutouts as we walked through Central Park with them on Saturday. On Sunday we had Elder Gore and Elder Leishman over for dinner and Savannah literally squealed with excitement when Sister Dunford and Sister Johnson showed up to wish her Happy Birthday in person. She has gotten especially close to Sister Dunford these past several months. My kids love these missionaries like they are their big brothers and sisters. We had to get a birthday picture with Carlos, one of our favorite parking attendants! It was so fun to see our friends from Texas, The Johsnon's this weekend as well. Savannah and Sadie are close friends so it made her birthday extra special. 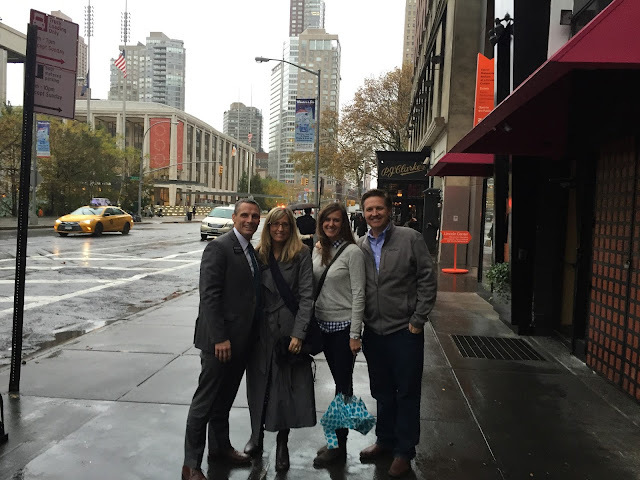 We spent FHE with The Johnsons at Radio City Music Hall to see the Rockettes Christmas Spectacular. We loved seeing our dear friends of 25 years, Ben & Brenda Thomas in Manhattan. Missions are so awesome for kids! We are blessed to have the best Spanish tutors...Sis. Garcia Early from Spain and Sister Lotito from Chile. Shoutout to Elder Gore who often helps with Spanish as well! The Westchester Zone missionaries attended a Diversity Breakfast with the Interfaith Council this past week. It was a great opportunity to interact with people of various faiths who are working to build bridges. Many missionaries had opportunity to share testimony and testify of the restoration. All had a great experience. Elder Gordon Smith, former US Senator from Oregon and currently our Area Seventy was also in attendance. We were privileged to attend a hearing at the UN on human trafficking. It was fascinating yet so disturbing. The world is full of evil yet there is so much light and hope. I am grateful to good people everywhere who do what they can to bring awareness, help others, and spread goodness in this world. I know in my heart the Gospel of Jesus Christ is the answer to all the world's suffering. We may not be able to change the world all at once but each of us can do our part in our sphere of influence. Our friend, Felipe, from the Harlem 2nd Ward, works at the UN. He was a wonderful host! Dave was able to spend a few minutes with another great friend this week, Mark Mabry. Mark did the Reflections of Christ Photography a few years ago. 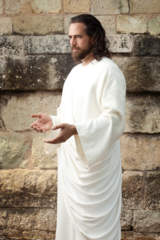 It beautifully portrays the life of the Savior through photography. Our missionaries love his work as we have several hanging in the mission home and display them at various meetings. We are grateful for his talents and his friendship! It's beginning to look a lot like Christmas...big tree going up! 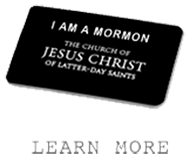 Hi Sister Smith - My name is Joel Monson and I am a returned missionary living in California. I served my mission in Brazil - Belem and served for 9 months in Macapa. It was there that I baptized a family - who's son just got called to your mission! I had a couple of questions for you about clothing that I'm trying to help him with, my email is joel.monson@gmail.com - can we connect briefly? He's been living on the equator his entire life and is now heading to NY, so he has zero winter clothes.